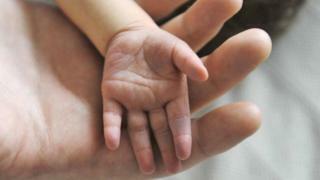 A hospital trust is being investigated after two babies died during or shortly after birth. The Health Service Investigation Branch is investigating Brighton and Sussex University Hospitals NHS Trust over four "serious incidents" (SIs) between December and February. Two resulted in deaths in the maternity units run by the trust. Inquiries can take up to nine months, resulting in "catastrophic" delays to families, the trust's board was told. The trust has maternity units at the Royal Sussex County Hospital in Brighton and the Princess Royal Hospital in Haywards Heath. A report presented to the trust's board on Wednesday, said: "Currently two of the SIs reported resulted in death. Both of these are in maternity and are being investigated by the Health Service Investigation Branch." Professor Malcolm Reed, one of the trust's non-executive directors, said he was "shocked" at how long families were having to waiting for investigations to conclude, the Local Democracy Reporting Service said. He said: "Nine months with no feedback? That is catastrophic. "If people are wanting to consider another pregnancy within that six to nine-month period, you can't do it until you have been told why this child died." The report to board members said: "This process is new and this has led to some protracted timescales for investigations." Chief medical officer George Findlay said it was carrying out its "own review for immediate learning". He said: "We feel we have lost the relationship with the families. "You then have to reconcile that, as many of these families have subsequent pregnancies and babies and they rely on us for that." Trust chief executive Dame Marianne Griffiths said the trust had invited the national director of maternity services to talk to staff to find ways to move forward.